Perlane® is a cosmetic filler that can help restore volume and fullness to your face. By shaping your facial features, Perlane® can help reduce the severity of wrinkles, facial folds, and fine lines that are a result of aging, environmental factors, and repeated muscle contractions. Perlane® is an effective wrinkle treatment that works deep within the skin to improve the signs of aging and reduce the appearance of folds and lines. Dr. Asaadi can help you achieve facial rejuvenation and youthful-looking skin with Perlane® injections. 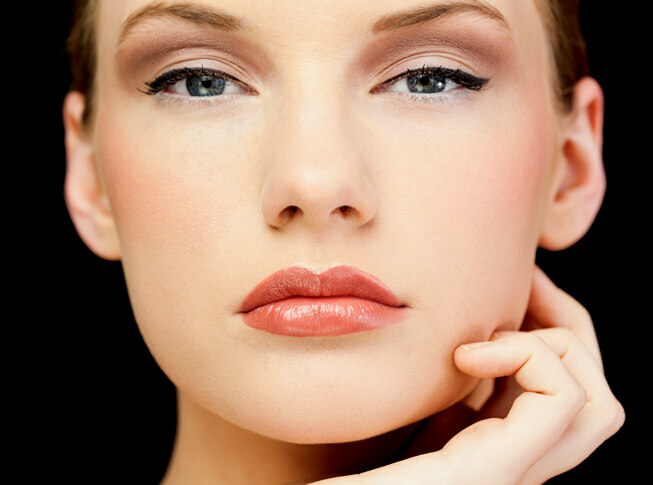 An FDA-approved cosmetic filler, Perlane® can help treat moderate-to-severe facial lines and folds. Perlane® is a clear dermal filler that is comprised of hyaluronic acid, which is an acid that is naturally produced by your body. Perlane® is a wrinkle treatment that replaces volume in hollowed areas. By filling in areas of depleted fullness, Perlane® contours your skin and begins to smooth any wrinkles or folds. Your body’s own natural reserves of hyaluronic acid provide volume and shape to your face by retaining moisture. As you age, your body’s ability to retain moisture is hindered. The scientifically designed hyaluronic acid in Perlane® acts exactly like your body’s hyaluronic acid, which provides your skin with the ability to withhold moisture again. The hyaluronic acid in Perlane® is specifically designed to last longer than your body’s natural hyaluronic acid, providing smoother skin longer. Because Perlane® has hyaluronic acid that is supposed to mimic the acid in your own body, Perlane® will naturally be processed by your body after approximately 6 months. Perlane® has gel crystals larger than other dermal fillers, so Perlane® is intended to be applied deep under the skin, providing structure, volume, and shape at the underlying cause of facial wrinkles and hollowness. What Can I Expect Before My Perlane® Treatment? Prior to your Perlane® treatment, Dr. Asaadi will evaluate your general health and the areas you wish to treat with Perlane®. With the ability to customize your Perlane® procedure, Dr. Asaadi can tailor a wrinkle treatment regime to best meet your individual goals. Some medications may need to be stopped prior to your Perlane® injections, such as blood-thinning drugs or aspirin. Although Perlane® is a long-lasting wrinkle treatment and can restore volume to your facial features, continuing Perlane® treatments are necessary to maintain Perlane® results. The majority of patients experience results lasting approximately 6 months. The length of your Perlane® treatment varies on what you are having treated and the severity of wrinkling. An ideal candidate to receive Perlane® injections is looking to restore facial contours, volume, and shape, while reducing fine lines and wrinkles. Patients should also have realistic expectations as to what Perlane® can help them achieve. If you have an allergy to any ingredients in Perlane®, you are not eligible for Perlane® injections. If you are concerned about Perlane® results or being unhappy with potential results, Perlane® can easily be reversed with a simple enzyme. If you would like to reverse the effects of Perlane®, Dr. Asaadi can administer an enzyme called hyaluronidase, which processes and removes the hyaluronic acid of Perlane® from your body. Dr. Asaadi strives to provide natural-looking Perlane® results that meet your particular goals. What Can I Expect After My Perlane® Treatment? A Perlane® treatment is a simple in-office procedure that requires little to no downtime. Any discomfort after your Perlane® injections can easily be treated with Tylenol® or other over-the-counter medications. It is important that you do not take medication that can thin your blood, as this can increase the possibility of bruising. If you are worried about discomfort during your Perlane® injections, Dr. Asaadi can apply a topical anesthetic prior to your Perlane® treatment. Mild swelling, discomfort, or bruising are possible side effects for some patients. These side effects depend on the area you are having treated, as more sensitive areas may be prone to swelling or bruising. Most patients are able to return to normal activity shortly after Perlane® injections. Perlane® results are seen almost immediately after treatment and will continue to improve in the days following your Perlane® procedure. It is important that you choose a skilled Perlane® doctor who understands your individual anatomy, as every patient’s facial structure is different. Dr. Asaadi stresses the importance of choosing a qualified, experienced, and board-certified plastic surgeon when considering Perlane®. How Can I Get Started With Perlane® Injections? Dr. Mokhtar Asaadi and our staff will be happy to discuss Perlane® with you. Please contact our New Jersey office at 973.731.7000 or our New York office at 212.938.0158 to schedule a private consultation. You may also request an appointment online to meet with our Perlane® doctor.